The resources collected here may be useful to educators and students exploring Tennessee history, American history, and the use of primary sources in the classroom. We're here to help you bring Tennessee history alive in your classroom! Contact us for more information! The worksheets linked below are intended to provide educators and students with ideas about how to analyze and interpret specific types of primary resources. The following lesson plans were created by Tennessee teachers utilizing primary sources available digitally at the Tennessee State Library and Archives website. They link to the current Tennessee curriculum standards. Additionally, lesson plans are available utilizing the Tennessee Blue Book, a great resource for information about state government. These lesson plans link to the current Tennessee curriculum standards dealing with government and civics in elementary and high school. Visit the Blue Book Lesson Plan website for more information. This hour-long program details some of the ways in which teachers and students can learn more about World War II through the study of one American POW's diary. The author of the diary, Hardy A. Mitchener, Jr., was a 2nd Lieutenant in the 509th Bombardment Squadron, 351st Bombardment Group, 8th Air Force, stationed in Polebrook, England, during World War II. He was shot down and captured on May 30, 1944, after a bombing mission in Oschersleben, Germany, and sent to Stalag Luft III shortly thereafter. During his stay at this POW camp in Sagan, Germany, Mitchener kept a diary of his experiences. This diary can be found in the Tennessee Virtual Archive. This hour-long program focuses on two Utopian communities that were established in Tennessee: Rugby and The Farm. Rugby, located in northern Morgan County, was established during the 1880s by English author and social reformer Thomas Hughes; he hoped to create a model community where young elite English men could work together with Americans, free from the traditional British upper class stigma against labor. The other site of interest, The Farm, is located in Lewis County, near Summertown, Tennessee. This intentional Utopian community was founded in 1971 by a small group of people with a spiritual commitment to simple living and self-reliance. Learn more at our online exhibit, The Happiest Days of My Life: Searching for Utopia in Tennessee. Sign up for our educator newsletter here. The Tennessee Electronic Library (TEL) is a collection of 40+ databases that provide access to over 400,000 magazine, journal, and newspaper articles, essays, podcasts, videos, e-books, primary source materials, and more! TEL is available free of charge to any Tennessee resident and is accessible 24/7 from any computer with access to the internet. Note: Gale Student Resources in Context are available only in the State of Tennessee through the Tennessee Electronic Library (TEL). The Tennessee State Library and Archives is home to hundreds of thousands of photographs and images that depict the rich and diverse history of Tennessee, including historic events, houses, buildings, and prominent individuals. Although the present database provides access to a growing number of digitized images, only a fraction of the entire TSLA collection is available online. The State Capitol building in Nashville is one of the architectural and historical treasures of Tennessee and of the entire nation. Completed before the start of the Civil War, this National Historic Landmark is one of the nation’s oldest working statehouses still in use. A structure of great artistic beauty, the Tennessee State Capitol is also the seat of government and a place that embodies the rich history of this state. Learn more. This cooperative project with the Library of Congress provides Tennessee newspapers from the TSLA holdings in searchable digital format. 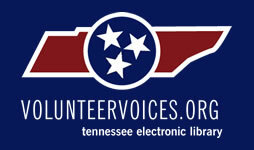 Volunteer Voices is a state-wide digitization project that will provide access to primary sources that document Tennessee's rich history and culture. Volunteer Voices combines the collaborative efforts to Tennessee archives, historical societies, libraries, museums, and schools.